Other than entertainment for both cat and owner, have you ever wondered why the magical plant does what it does? Catnip is not a weed. It comes from the family of mint plants. It can grow both indoor and outdoor. The nose knows! Nepetalactone is the compound in the plant which causes a reaction in the cat’s brain of behavioural and emotional responses. Catnip cat is used for: comfort during travelling, play time, and/or used on scratching posts for proper use. Humans used catnip for centuries in teas, herbal cigarette and as a cooking herb. 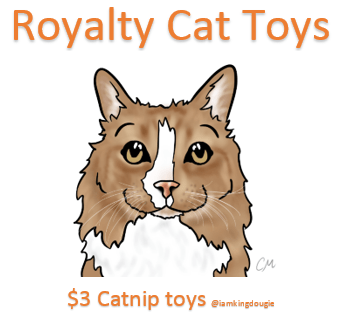 Catnip is a mild hallucinogenic in cats. Catnip is not addictive and is completely safe. The compound, nepetalactone, is also used as a mosquito repellent. 70% of adult cats are affected by catnip. Kittens tend not to be affected until the age of maturity. It can make some cats aggressive. It can help overweight cats be more active during their weight loss journey. It can be bought in several forms: sprays, dried herbs, pellets, toys. Green (pungent smell) means fresh herbs. Pale yellow (faint smell) means old herbs. It can be stored in the freezer to extend its shelf life. 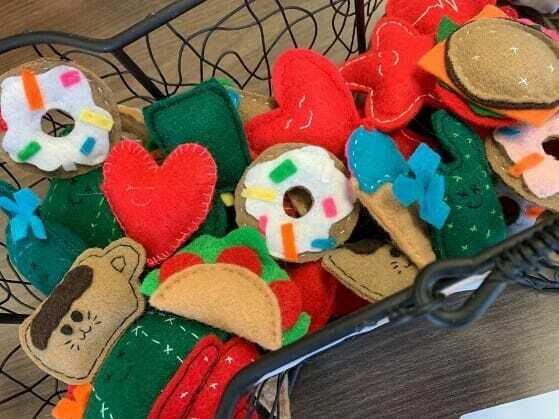 In the Moncton Animal Hospital Boutique, we have a wide variety of catnip toys including catnip pillows, loose catnip, and we also have Royalty Cat Toys, locally handmade catnip toys.